It's refreshing to find a book for children about a mixed-race family that has found a better use for the term half. Mum, Dad and Millie can't wait for Oscar's first whole birthday, so the day he is six months old they decide to celebrate. They pack tuna sandwiches and a chocolate cake with half a candle on top, and set off across the city for a picnic. 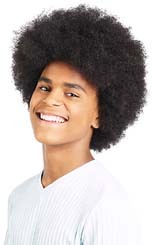 This heartwarming tale shows a mixed-race family doing things together and sharing their joy with the community around them. 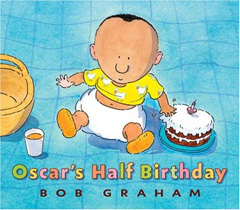 Oscar's Half Birthday is available in all good book shops.